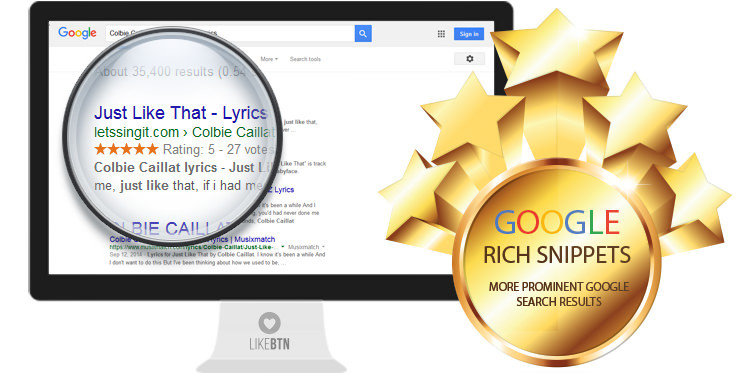 From now on LikeBtn provides Google Rich Snippets along with the Like buttons. With Google Rich Snippets you can make your site look appealing to the visitors on search engine results pages, boost search engine rankings and increase clicks! If you are using Like button plugin, just enable Rich Snippets through the plugin's admin dashboard. In fact, many companies report seeing a 20-30% rise in CTR after implementing Rich Snippets. At the point when your Web page speaks to a genuine element, things like films, sports crews, famous people, and eateries, utilize the Open Graph convention to determine data about the substance. buy essay online. In the event that you incorporate Open Graph labels on your Web page, your page ends up equal to a Facebook page. This implies when a client clicks a Like catch on your page, an association is made between your page and the client.